Our organization works primarily with independent insurance agencies that are seeking experienced commercial and personal lines service & sales agents. APR concentrates on permanently placing agents with backgrounds in Property & Casualty-Commercial/Personal Lines as well as Group Benefits agents with Life & Health insurance experience. We recognize that every client has different needs that are specific to their organization. At APR, we understand these differences and tailor our recruiting efforts to find the most qualified insurance professionals to fit your provided criteria. We will only provide first-rate insurance professionals for your consideration along with the highest level of customer service. Through partnership, our goal at APR is to provide value to your organization. We are committed to a long-lasting relationship which is evident in our competitive pricing. APR Careers offers exclusive opportunities in the insurance industry for the insurance professional who is a cut above their peers. Based on your qualifications and career goals, we will introduce you to the top independent agencies and national or regional brokers. After finding an organization that is the right fit for you based on the information gathered in our interview process, APR will submit your resume confidentially, set up your interview, and negotiate your salary and benefits on your behalf. Please contact an executive recruiter today for a confidential interview to discuss in detail your career path and ask any questions you may have regarding our firm. Ask about our referral program and sign on bonus'. 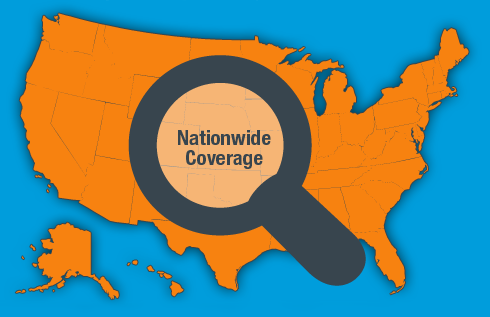 No matter which part of the United States you are located, we can help. Contact us today!